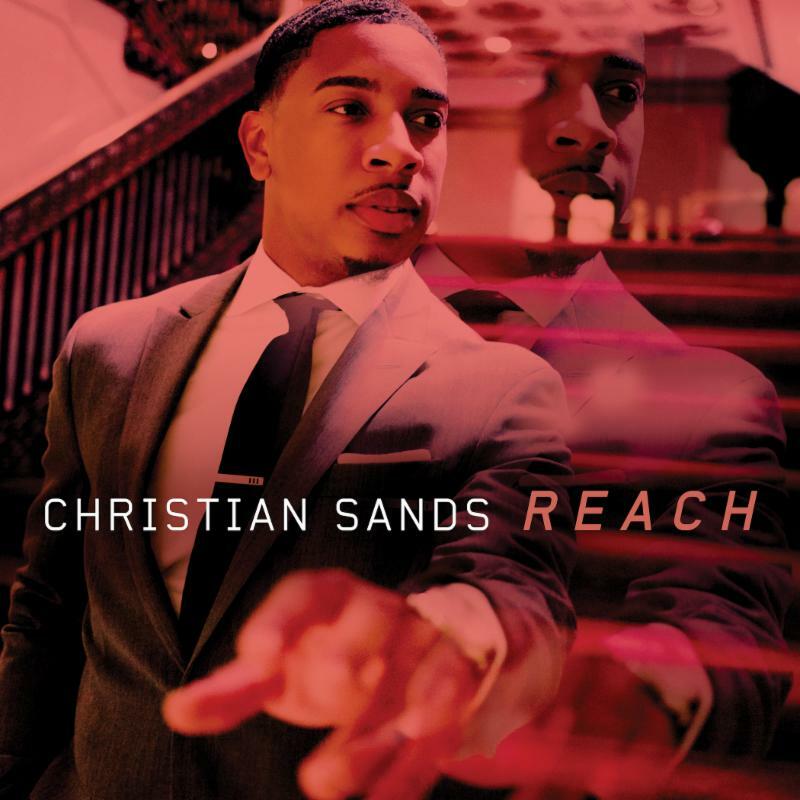 NOTES ON JAZZ: Interview w/ Pianist Christian Sands and His Latest Release "Reach"
Interview w/ Pianist Christian Sands and His Latest Release "Reach"
Christian Sands is a twenty-seven year old pianist who hails from New Haven, Connecticut. His work with drummer Ulysses Owens Jr. in Grammy Award winning bassist Christian McBride’s trio, has already garnered him wide spread recognition. 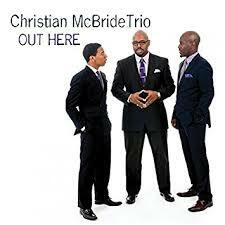 Together these three musicians re-wrote what we came to expect from a piano jazz trio. A sophisticated, extremely intuitive trio that brought a jois de vivre to everything they played-from a re-imagining of a well-worn standard, to breathing new life into an improvised version of a contemporary pop song. Although the trio was led and anchored by McBride, Sands dazzled audiences with his silky, polished facility and his locked-in sense of swing that manifested itself in a myriad of styles that he commands. The young man has been attempting to play the piano since he was a toddler trying to reach the keyboard, and started formal lessons at the age of four. Classically trained, he found himself all too often distracted by his desire to improvise on the classics. 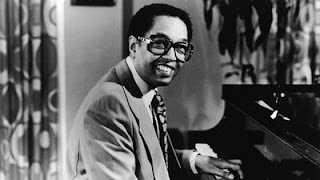 He was directed by a teacher to jazz studies, and eventually met Dr. Billy Taylor at a summer jazz program at the University of Massachusetts in Amherst, who became a mentor and took the young Sands under his wing. 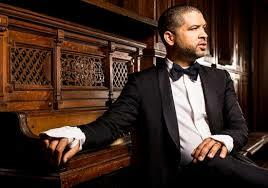 Besides studying masters like Art Tatum, Teddy Wilson and Dr. Taylor, Sands has also studied with two young lions of contemporary piano, Jason Moran and Vijay Iyer and cites them all as inspirational. 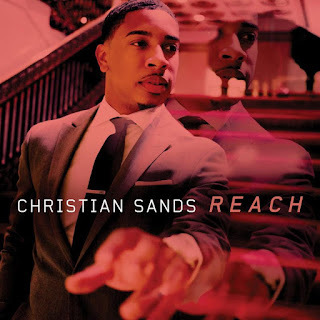 Sands will be playing for two nights, Friday and Saturday June 9 and 10th this weekend at the Velvet Note in Alpharetta in support of his latest album Reach. Notes on Jazz caught up with Sands via telephone Friday afternoon June 9, 2017. NOJ: I understand you have some ties to Atlanta can you speak to that for our hometown fans? CS: Yeah, it’s my mother’s side of the family. My mother is originally from Augusta- Waynesboro GA. All the family is down there, but I have a few cousins and a few family members that have moved to Atlanta, so that is where the Atlanta connection comes from. NOJ: So what do you think of the Atlanta music scene? CS: It’s great, I know a few musicians who come from here like (drummer) Terreon Gulley and (vocalist) Avery Sunshine. I actually spoke to her yesterday on the phone. We were going in opposite directions – she was going to the airport and I was coming in from there. We were trying to link up but couldn’t make it work. The music scene is awesome down here. Just growing up and listening to hip-hop, Atlanta’s hip-hop scene is amazing; the whole Georgia connection is incredible. Georgia is in the bloodstream of my music and in me too. NOJ: You have been playing piano from the age of about four years old from what I have read. Were you trained classically when you first took lessons? CS: I started playing piano when I was about one or two, I started lessons at four. It’s kind of difficult to find a teacher for a four year old. I was originally classically trained, doing Suzuki piano, playing Chopin and Mozart and that kind of repertoire. Then I went to jazz studies when I was about seven years old. NOJ: Did any of the classical composers really ring true to you? CS: Mozart. Really because of the story of Mozart .I heard how young he was when he started. I kind of identified with that because I was young at the same time. As a child you think you can identify because you are both five or six or seven. That’s the vibe, that’s what I was hearing myself as. NOJ: Do you still listen to classical music? CS: Oh yeah, all the time. I ‘am heavily into Scriban, but since college I have loved Erik Satie. I absolutely love Satie, because of his use of simplicity and depth at the same time. He has got this dark beauty in his writing. I love Ravel and Debussy of course. You talk about colors and textures, the shaping of music, is absolutely incredible. I am still a fan of Mozart, almost anytime I hear any Mozart or any of the operas come on the radio, I am listening. I’m a big fan of Puccini as well. NOJ: So how did you change direction from classical to jazz? CS: I always liked to create. I liked to improvise, so when I was younger I would take the songs that I was learning-Bach, Chopin or Mozart- and I would improvise on the etudes, improvise on some of the patterns that they had. In classical you’re not supposed to do that, so I would get in trouble all the time. I would just take a solo and do one chorus and I would change the keys, my teacher finally got tired of telling me not to do that anymore, so she ended up telling my parents to put me into jazz studies. So that’s when I started those studies and I was seven. NOJ: You took lessons with Billy Taylor? CS: Well not just yet. I took lessons from Dr. Taylor at maybe fourteen years old. It was absolutely incredible. I started out meeting him at the Jazz in July Program at University of Massachusetts, Amherst. I actually teach there now, this is my third year teaching at the program. It’s actually awesome to be there. It’s a two week program and I was supposed to do just one week, but I fell in love with the program and fell in love with Dr. Taylor. He liked my playing and asked if I could stay the second week and so I did. Everywhere he went I went. NOJ: What is the most influential thing Dr. Taylor did for you as a pianist? CS: The most influential thing that I can say Dr. Taylor talked about (with me) was honesty in music. A lot of people don’t talk about that. He talked about why people sound the way they sound. It wasn’t because they were trying to develop concepts or something like that; it was because they were a product of their environment. He talked about bringing the audience with you. Build your audience to the point that they know exactly where you are going. If you want to play avant-garde, for example, build into that. He was a master of literally breaking down music. He would tell you what’s going to happen in the form. He would tell you who is going to solo here. He would tell you what kind of groove you were going to hear-(on a composition) maybe from swing groove to Latin groove on the bridge. What is the bridge? Well, the bridge is the middle section of the song. He would take the time to explain all the parts before he would actually perform it. NOJ: So if I understand what you are saying, structure was essentially is what you took away from his teaching? CS: Yeah, just the way to play music in an honest way. NOJ: Meaning what? Coming from your heart? Coming from your soul? CS: Yrs coming from your heart and coming from your soul, but just coming from where you have come from. Coming from what you have experienced in your life. NOJ: You also took lessons from Jason Moran. Compare what you got from Jason as opposed to what you got from Dr. Taylor. CS: Jason was amazing. My studies with him and Dr. Taylor overlapped for about a year. Studying with both of them was so good for me because I learned so much about the history of piano. Dr. Taylor was around when modern jazz piano was being developed. He being a protégé of Art Tatum all the way to him being around to see guys like Jason Moran, was just a tremendous breadth of experience. Jason talked about pianists that a lot of other people didn’t talk about, like Paul Bley, Herbie Nichols, Andrew Hill and Jaki Byard. Jaki and Andrew were both Jason’s teacher so he came from that. What Jason taught me was the way to create. Jason was all about creation, all about challenging my creativity. We never worked on repertoire; it was always we worked on creativity. NOJ: Can you elaborate and explain how he would do that? CS: Jason would have a two hour lesson and within that lesson we would just improvise and play off each other. Maybe one goal would be to try not to repeat ourselves for the entire session, or try to play the full two hours without stopping and see how far we got. Continuously just moving in all directions, -almost like water-pushing envelopes and pushing different ideas, trying to see how creative we could be. NOJ: Was this exercise played within a song format or was it free? CS: Not necessarily, sometimes it would be or develop into a song. Sometimes it would be free form; sometimes it would just be segments or just vamps or just anything. That was the great thing about Jason, anything was game.Literally, it could be playing inside the piano for two hours and seeing what kind of sounds we could get out of it. NOJ: So if I can distill this a little bit for myself; Billy was structure and honesty and Jason gave you freedom and creativity. Is that fair? NOJ: You also took lessons with Vijay Iyer, what did he bring to the table for you? CS: Vijay was very similar to Jason, except Vijay was in a way very much structured like Dr. Taylor. He would say creation was good, but it had to be purposeful. So he would like to write something, for say the drums to specifically play. He was more into through composing. It was the creativity with less manipulation of the creativity within through composed pieces. NOJ: Within Iyer’s format he still allows his trio to improvise? CS: Yes, but a lot of it is based on things that are already written, which is interesting. So the drum groove that Marcus Gilmore might play is written there, but then within that he will make a variation of what is already written. Vijay is all about textures as well. When I mean textures, I mean, I compare his music to like (the game cube) Tetris. You have the block and you can move its parts side to side and up and down. His music is very sequential. He taught me how to take patterns and textures in ways that it’s either the melody or the harmony or the rhythm. Each piece had multiple functions. It works out because he is an engineer so it makes perfect sense. 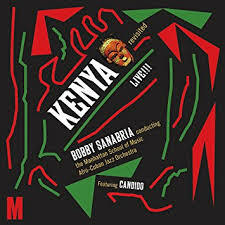 NOJ: You were on the Grammy nominated 2009 recording Kenya Revisited Live when you were with Bobby Sanabria’s Manhattan School of Music Jazz Band. This, by the way, was a great, great album. Tell us about that experience. CS: Bobby Sanabria is quite an individual. He is an amazing person and an amazing band leader. The majority of the students in the band were seniors or master’s students. That year myself, I think Jake Goldbas the drummer was in that band, and there were a few other freshmen in that band. The fact that he could take like five freshmen and the upperclassmen and turn us into this machine, and what a machine; it’s incredible and even Bobby said that was the best band he ever had. Then to be nominated for a Grammy was absolutely an incredible experience. I got to learn more about Latin music. I grew up playing it in New Haven and also Hartford CT. They are both big Latin scenes. I grew up playing in different Latin ensembles like a Latin Jazz Ensemble or a Brazilian Jazz Ensemble. The first Latin pianist I was introduced to was Chucho Valdez and then Gonzalo Rubalcaba after that. There are so many cats that can play that. 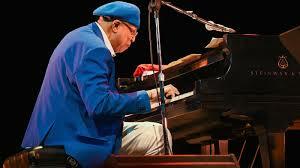 I first got into Chucho and for me he was like a combination of Oscar Peterson and McCoy Tyner. But he had this heavy, heavy rhythmic feel. Both of them are heavy rhythmically and both are virtuosos. So listening to that was incredible. My senior year in high school I also started playing with Los Hombres Caliente out of New Orleans with Bill Summers and Irvin Mayfield. They were heavily into Latin influence, but also Creole music. That was the first band I ever went out on tour with. Being a fan of Bill Summers from Herbie Hancock and the Headhunters days, I was already hooked into that, and Irvin Mayfield just played a pile of trumpet. That’s when I joined Bobby Sanabria, being in that band I learned so much. One of the things I learned was how to play intensely. You heard that band, how to play with so much force and a lot of passion, because you hear Bobby just yelling and screaming. He would point and you and tell you to solo, and you have no chord changes or nothing and you have got to play something. Again creativity, but also just passion, and playing with fire. That’s how I describe playing with Bobby, playing with fire. NOJ: You played with Christian McBride for several years in a remarkable trio (with drummer Ulysses Owens Jr.) what did you personally get from that experience with Christian? CS: Similar to Dr.Taylor, just the honesty of music, because with Christian his music is him. Away from the stage he is this big personality with this big laugh and this big smile and this loving personality, and that’s what his music is. His music reflects that personality. So one of the things that I learned while I was with him was just how to be yourself in music. How to truly be you, and how the music should reflect you, because that is what he is all about. It should reflect everyone (in the band), but it mostly reflects him. He probably learned that from Freddie Hubbard, or all the people he has played with, because when you listen to Freddie Hubbard it’s unapologetic, it’s in your face. One thing I learned from McBride is how to be yourself in music and also I learned just how to play for people, instead of musicians. He is such a virtuoso that he can play anything. NOJ: But he is also a bit of a showman, right? CS: Yeah he is a bit of a showman, how to entertain people. When musicians come up to your gig, they know what you’re doing already, but the people don’t. It’s all about how you feel, how people feel. So we will play a Motown or Jackson Five tune or like we recorded that Rolls Royce tune “Car Wash.” So I’ve learned not everyone is a jazz lover or aficionado, but they are all music lovers. So play music, so that is what I learned from him. NOJ: That gets us back to that Dr. Taylor statement about how do you try to bring your audience along with you without compromising yourself and your own musical integrity? NOJ: It is always an issue for club owners and promoters of this music, who want to preserve the tradition and the legacy but struggle with maintaining an audience. What was Dr. Taylor’s solution to this problem of bringing your audience along with you? CS: It’s funny, because Dr. Taylor just loved all music. Because we would sit down and have conversations about Mary Lou Williams and the next conversation would be about the Roots or A Tribe Called Quest. He knew them, especially the Roots. They recorded “I Wish I Knew How It Feels to be Free” with John Legend and I asked him about that recording and he knew it and he told me he loved what they did with it. His thing was that music is supposed to evolve. Music is supposed to be a documentation of what life is (at any given time.) I have had a lot of conversations about where jazz going is or what jazz is. Is hip hop jazz or should it be straight ahead, or big band or traditional?I’m a product of both. For me jazz is supposed to evolve, but you should evolve from the knowledge of where you have come from. NOJ: I understand what you’re saying and people like Nicholas Payton have their own ideas about jazz and the word and what it all means, and if the word has any relevance anymore. CS: Yeah, I totally understand where Payton is coming from too. I feel that jazz is still there because that is where all the music comes from. So either you call it all jazz or you don’t call it anything at all. So Nick is saying let’s not call it that anymore. NOJ: To me jazz is like an umbrella. It takes in so much and maybe you don’t like the word, or some kind of outdated connotation or where it came from, but it has served its purpose. The music has widened its reach out all over the world. I don’t know of any other music that is so universally loved and even cherished in all parts of the world as jazz. It has become so inclusive under the banner of “jazz,” that for us to label the word as some kind of problem I don’t think is very helpful. CS: I understand what he is saying; there is just different ways of saying it. What he is saying is that the word is bad. What I ‘am saying is take the word away, the genre is like the root of all music today. It comes from the blues, it comes from classical music, it comes from classical harmony, it comes from African songs, it comes from field songs from slavery, and it comes from early French music which had a swing to it. It’s actually very interesting, other music was relatively straight and then French music had a bounce to it. When you hear older musicians play jazz or you listen to older recordings, even the blues records like Blind Willie Johnson or you listen to these early classical recordings it’s all related. But jazz is a direct mirror from American history. Today it sounds the way it sounds because it has absorbed so many different parts, views and conditions of the American experience. It’s so broad because America is so broad culturally. That’s why it sounds like it does. So either you call it jazz or call it all jazz or you don’t call it jazz and instead don’t name it anything. Somebody once said if everything is art there is no art. So if everything is jazz then there is no jazz. It’s kind of like the way you want to take it. Nick is kind of saying don’t call it jazz call it Black American Music or Black African music because it is, and it is that, but it is also a lot of other things . NOJ: You have played with McBride and Thomas Fonnesbaek and Ben Williams all different bass players. How does playing with these different bassists differ for you as a pianist? CS: It’s funny because if I wasn’t a pianist I would either be a trumpet player or a bass player. I love melody and I love how trumpet and bass can manipulate melody, it’s very much the closest thing to the voice that you have. NOJ: The trumpet definitely is like a voice, I don’t know about the bass? CS: The bass is like a voice because you can bend notes and manipulate notes like a voice. So that’s how I viewed it like that. I love the bass and I grew up playing with a lot of bassists. I grew up playing with Nat Reeves and Rufus Reid, Phil Bowler, Jeff Fuller. I definitely played with Jeff every day. Christian McBride, Thomas Fonnesbaek, Ben Williams, John Clayton, and Derrick Hodge the list goes on and on. NOJ: I’ve noticed that you have played several children’s songs in your repertoire. You’ve played “Pure Imagination” from Willie Wonka and the Chocolate Factory; you’ve played “If Your Happy and You Know It” another children’s song and now on your latest album you do “Somewhere Out There” from the animated feature An American Tail. What is it about these happy children’s songs that give you so much inspiration? CS: That’s because that is what gave me inspiration as a child and gave me inspiration to play. I know I am not the only one who has had inspiration from these songs, because this is a memory from my childhood and who I am today. These movies were part of my experience and a part of my generation too. To play them is also reaching to audience members and to people who have gone through that experience as well. I can talk to somebody about Willie Wonka and say “I said good day sir” and people can remember that scene and identify with it. Or I can talk about Fievel from An American Tail and people who know that movie can relate .Many peoples childhood or many people who have children can all relate, so it’s part of the American culture and American life. NOJ: The three times I’ve seen you perform; you have always dressed very nattily, always in suit and a tie. How did this fascination with clothes come about and how does the way you dress affect the way you play? CS: The dressing is Sand’s men thing. My grandfather dressed up, my father dressed up, my brother dresses up, my uncles. So, all the Sand’s men were pretty dapper. I guess it is a family thing. I don’t always wear a suit sometimes I just wear a tee shirt, but the majority of the time I wear something nice anyway. It’s kind of empowering in a way. To dress up and have, not a uniform, but something that sets you apart from the listener that is coming to see you. At the same time I also dress up, on an African American side of it, because I want to show African American boys that you don’t have to just have baggy pants to be a rapper. You could totally wear a suit and still convey a message. So it’s a message thing too. NOJ: How does it affect the way you play? CS: Well it used to affect the way I played. When I wore a suit I tried to play more elegantly, as opposed to when I wear something less dressy when I play more rugged and raw, but now I just play. NOJ: You dedicated two of the songs on your latest album to pianists. One to Chick Corea called “Armando’s Song” and one to Bud Powell’s called “Bud’s Tune.” Tell us about those influences and why you wanted to do this? CS: I listened to Chick as a kid, but not intently, because I grew up listening to Fats Waller and Ahmad Jamal and a lot of Herbie (Hancock), but I didn’t really listen to Chick as a kid intently. Later as an adult I really started listen to him and kind of understanding what he was doing. I listened to him with the Latin piano, because he has articulation with his rhythm .Later on, I really got into listening to pianists and trying to figure what they did that made them who they were. Then with Chick it was more about his compositions. Where he came from, the way he articulated and where the Spanish thing came from. McBride started working with Chick, and there was a lot of Chick material and we would actually practice some Chick tunes for sound check or play some on the bandstand. Then I got a chance to meet him, and he was such a nice and gracious guy. So I just wanted to write a tune. I was really listening to him a lot at the time, trying to understand what he was doing compositionally. NOJ: But you don’t feel he is an influence on you? CS He is, but he’s not. He is, because I love the way he plays in time. He has a similar way, as do a lot of Latin players, of playing very structured, but then loosening it. It is almost like breathing. The way Chick plays, he will play very much on the beat and then he will play these phrases and then go back to the beat and then he will leave some space. It’s very, very incredible. I would say he is definitely an influence, but a later influence. NOJ: What about Bud Powell? CS: If you go to Chick you got to go to Bud and McCoy. He was another guy that I got into later on, because I grew up listening to Monk. Monk was the guys for me, the end all, be all. Thelonious Monk. NOJ: That’s funny because he was a great composer, but some say not a greatest pianist. CS: Right, but something about his compositions made him the greatest pianist on his music. Monk had this wittiness, he was just funny. Listening to Bud was similar, but Bud was faster. Bud was a little more stylistic, more suave. NOJ: Well Bud came directly from the (Art) Tatum school, right? CS: Exactly, right they both did. They were different translations of Tatum. Dr. Taylor would tell the story of Monk listening to Tatum and Monk actually sounded like Tatum at one point. So someone would tell Monk, we already have a Tatum so you have to do your own thing. The Monkism was already there in his playing, but like when you hear some of his flurries that‘s a Tatum line. “Round Midnight” was written after an arrangement that Tatum played of “Body and Soul," it was inspired by that. When you hear that version you can understand where it came from. Monk had the harmony thing and Bud had the linear ideas. So if you take Bud, he has all these little slips and they change keys and dexterity. So Bud was another influence on me as to how to play time, how to play up-tempo, but also how to play in different pockets. NOJ: You haven’t mentioned Bill Evans. How, if at all did Evans playing influence you? CS: Bill Evans just because of his clarity. Each note was just ringing. When he played he was so clear and so patient and he was an honest player. I heard him on some interviews telling people how he was still working on things and you’re saying to yourself how is that possible that you (Bill Evans) are still working, what are you working on, it’s so beautiful. NOJ: Many people consider Bill to be one of the most honest, sincere players who ever played. He bore his soul every time he sat at that keyboard. It was like he was playing with no clothes on; he left himself out there naked to the world. CS: That’s really what I liked about his playing. Honesty and he has patience about his playing that I really like. NOJ: What living artist would you most like to play with if you had a chance? 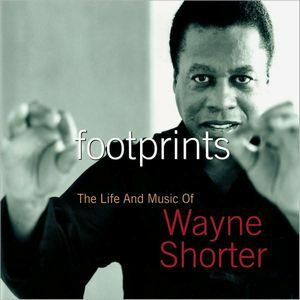 CS: Wayne Shorter. That’s the guy for me it’s Wayne. NOJ: Well Wayne is one of the best jazz composers in the last fifty years, for sure. CS: I don’t even feel like he is playing jazz anymore. It’s hard to describe. I don’t even think he is playing music anymore, it is just got its own identity now. Its expressions and gestures; it’s coming from a different place. It’s not coming from this scale or this sound there, it is coming from how he breathes into the horn and whatever comes out, comes out. It is just him. You talk about honest music, it’s just Wayne. It sounds like science fiction. NOJ: If you had to choose one pianist that most represents where you want to be stylistically who would that be? CS: That’s hard, but probably Jason Moran or Chucho Valdes. I’d say Jason, because creatively he is in a place by himself. He is creating his own palette, sort of like Cecil Taylor did. When I was studying with Jason he would send in incredible subs like Fred Hersch, Ethan Iverson, Mathew Shipp and Gonzalo Rubalcaba so you got it all. That expressionism that Jason and Cecil and Mathew have makes sense if you understand where they are coming from. They have created their own scales, and the scales are not derived from one note, it can be a chord, but to them it's like one note. It’s strange and different and it’s totally their own. Jason is coming more of a fine artist perspective, where his music is coming from skateboarders or paintings or words and voices and installations and multi-media presentations. I love that and I want to do more of that. At the same time I also want to represent America and where I am from like Chucho is doing with Cuban Music. So that’s why I say Chucho. He has this staple of what Cuban music is all about, but he also has a very specific style and sound. He is very much the ambassador of Cuban music, just like Danilo Perez is the representative of Panamanian music. They represent all the good and all the musicality and all the studying and the history of their music. So eventually, I want to do that as well, like Chucho is doing and at the same time continue to push it forward. NOJ: What is your go-to song, when you have the crowd in the palm of your hand, and at the end of the night all you want to leave them with is something really special that you can dig into? CS: Recently it actually been “L.O.V.E.” the Nat King Cole kind of thing. Everybody understands love or some form of it and right now that’s the go-to song for me. We can kind of go anywhere with it and people can understand the concept of it. NOJ: What contemporary musicians are doing the most interesting music and what is it that grabs you about what they are doing? CS: Nicholas Payton and Christian Scott because they have taken what Miles did and are pushing it into different boundaries. I’m a big Miles fan. I think Miles would have still been doing this had he still been here, but somebody has to do it so those two guys. Kendrick Lamar, because as far as words go, as far as rhythms go, he is totally doing something that musicians in general are not doing. He brought the idea of theater back to the music. Things have prologues and transitional sections in his music, so he is really doing something different. Chance the rapper. What I like about him, he is so honest with his music, and he is always sounding like he is just having a ball; so much fun. He is coming from Gospel music and jazz and he is putting it all into his music. Sometimes it doesn’t all work out, but you kind of appreciate the attempt. Wayne Shorter is still doing it. He is beyond music. My brother and I are big Star War fans and Wayne is our Yoda. He just exists and tells us things in riddles and we just have to figure out what they mean. Wayne is incredible compositionally and as a playing artist he is just amazing. NOJ: You play some of the Great American Songbook. Do you believe it has run its course? CS: No. I don’t think it has run its course, but now it is giving us different ways to think about music for today. I think now, instead of playing them verbatim, they have information about how to put song form together or how to form melodies that really speak to people, because those songs did and they still do. People still relate. So there is something there even though it was written so many years ago. NOJ: The songbook has amazing durability, but if you could just take the last fifty years, because many of these songs are beyond fifty years old, who would you say are contemporary composers that have created songs that will transcend their period and have the lasting endurance that the American Songbook has had? CS: Wayne (Shorter), Miles Davis but he played a lot of Wayne’s music. NOJ: I’m thinking along the lines of more popular music, because jazz often takes popular songs and re-imagines them for their purpose. CS: That’s a tough question. We live in a time when music is constantly changes, but what is lasting. NOJ: Well I will give you a few that I think do make it to this level of durability and see whether you agree? Stevie Wonder. CS: Oh totally yes. Stevie Wonder, Michael Jackson, probably him more than Prince. Eric Clapton, a lot of his music is blues, but his words and the story he tells. I would have to say Sting. NOJ: I’m not sure about Clapton but Sting I would agree with you on. I think Paul Simon is enduring and of course Lennon and McCartney. But what about people like Antonio Carlos Jobim? CS: Jobim’s writing is beautiful and gorgeous, but I think his music has sort of finally, not run its course, but is fading into the background now. It’s a shame because I think his music is absolutely beautiful, it’s given us the tools, like the American songbook, to build off of. But anytime you hear the song the “Girl form Ipanema “everyone knows the song even if they don’t know it is a Jobim song. So, yes you could put him in there. NOJ: Some other people that you might consider as durable song composers are Carole King’s work or Bob Dylan’s work. CS: Well yeah and then I would have to say Bob Marley’s work. You talk about love, I’d have to say anytime you talk about love and the betterment of the human condition than that is what stands the test of time. Like Stevie Wonder or Bob Marley or Bob Dylan or Joni Mitchell they are talking about all of us together. NOJ: Tell us about your new album and your upcoming tour and your gig at the Velvet Note. CS: The new album is called Reach and it’s about reaching out and self discovery; not only for these artists but for the listener. Finding out who you are or understanding who you have been. So that’s what the whole album is about. I wanted to write music reflecting that search, those questions that I have had and some of the answers that I found. A majority of the compositions are music that I have written for this session and some I wrote way before the session, years ago. The standards that I did include the Bill Wither’s “Use Me” and the song “Somewhere Out There” from An American Tail are songs from my childhood that I have identified with, and I play them for me, but also for people who want to hear something they can relate to, that they remember or that they know. The record is really just a feel good record, it is for people and that is who I dedicate it to. NOJ: You will be playing tonight Friday June 9th and Saturday June 10th at the Velvet Note in Alpharetta. Who will be playing with you in the band? CS: At the Velvet Note, Barry Stevenson will be on bass and my younger brother Ryan Sands on the drums. NOJ: Good luck with this record and the tour and I’m looking forward to seeing you on Saturday and thank you for spending the time with us. The Artistry of Billy Childs on "Rebirth"